Knoxville News Sentinel "Hike of the Month" photo by Adam Lau, design by Don Wood. Knoxville News Sentinel "Hike of the Month" photos by Adam Lau, design by Don Wood. North State Journal. Photos by Madeline Gray. North State Journal. Photos by Eamon Queeney. North State Journal. Staff photos. Knoxville News Sentinel. Staff photos. Knoxville News Sentinel. Photos by Michael Patrick. Knoxville News Sentinel. Photo by Adam Lau. Knoxville News Sentinel. Photos by Adam Lau. 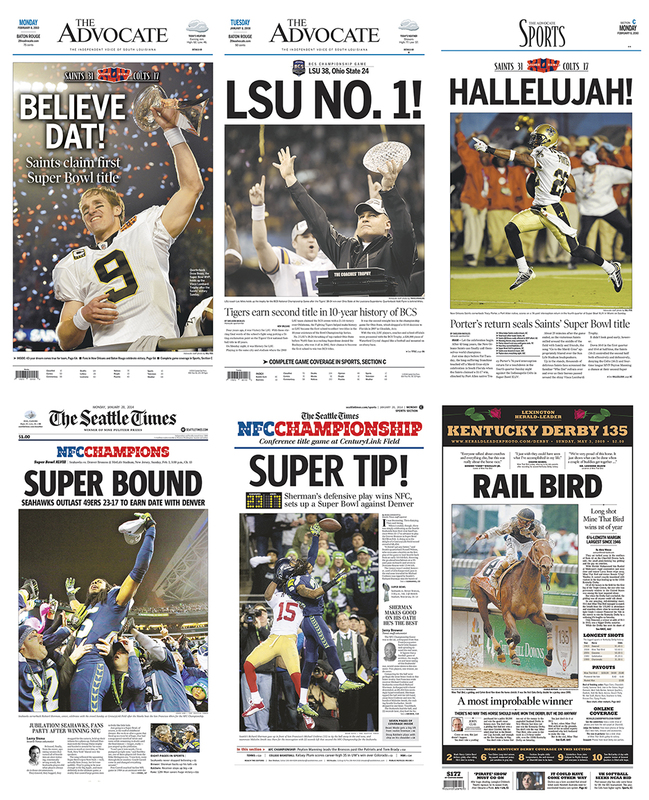 The Advocate, Baton Rouge, La. Staff photos. The Advocate, Baton Rouge, La. Photo by Richard Alan Hannon. The Advocate, Baton Rouge, La. Photo by Patrick Dennis. The Advocate, Baton Rouge, La. Photo by Mark Saltz. North State Journal. Staff Photos. Design by Kevin Martin.